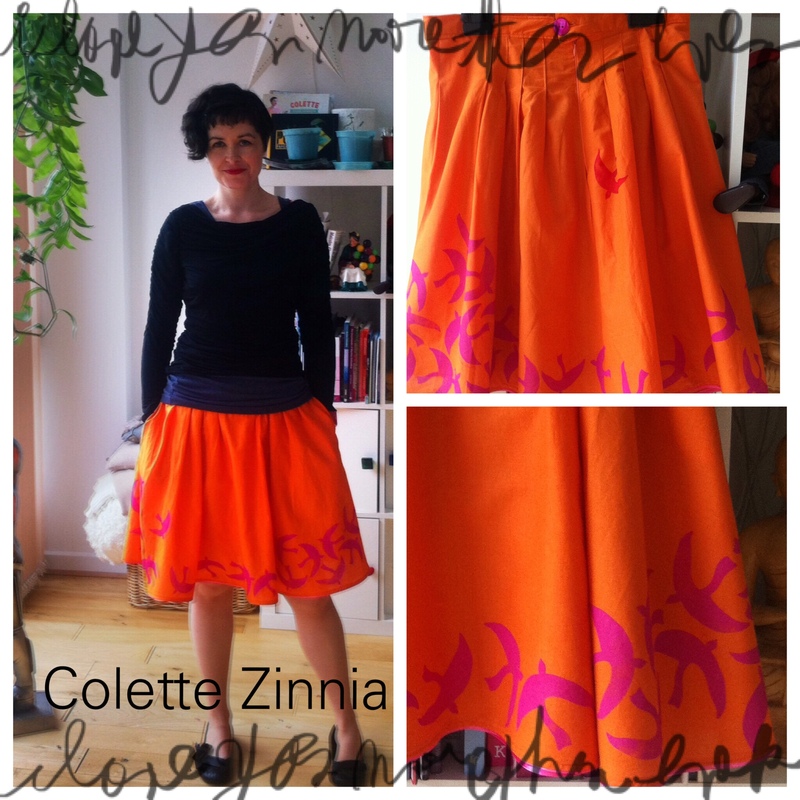 This is my very first attempt at sewing something to wear- the Zinnia skirt by Colette. I made it using a great online sewalong run by The Stitchery in Glasgow- their very first one. I hadn’t a clue about patterns or making clothes when I embarked on this so everything was a step into the unknown. The blog posts from The Stitchery were great- so clear and easy to follow. That coupled with Colette’s brilliantly clear instructions made the whole experience an enjoyable one, even when it came to the zip. I didn’t have a huge amount of confidence that I would actually be able to make something wearable by the end of it so spending lots on fabric didn’t seem like a good idea. That plus the fact that I had no idea where to start in choosing fabric meant that I bought plain white cotton lawn. Once I got it home and washed it it just felt a bit too…well, white. I had some Dylon hand dye in goldfish orange which produced a gloriously orange length of fabric ready to become Zinnia shaped.